Got a science or math homework question, and need some help? Call, email or chat live to get free science and math help from the Rose-Hulman Institute of Technology’s Homework Hotline! Tutoring is available September-May, Sunday-Thursday 7-10pm, for science and math topics for grades 6-12. Visit the Homework Hotline website to submit questions by email or chat, or call 1-877-ASK-ROSE (1-877-275-7673). For more information about the Rose-Hulman Institute of Technology, click here. Click here for study guides in science and math topics for grades 6 and up. 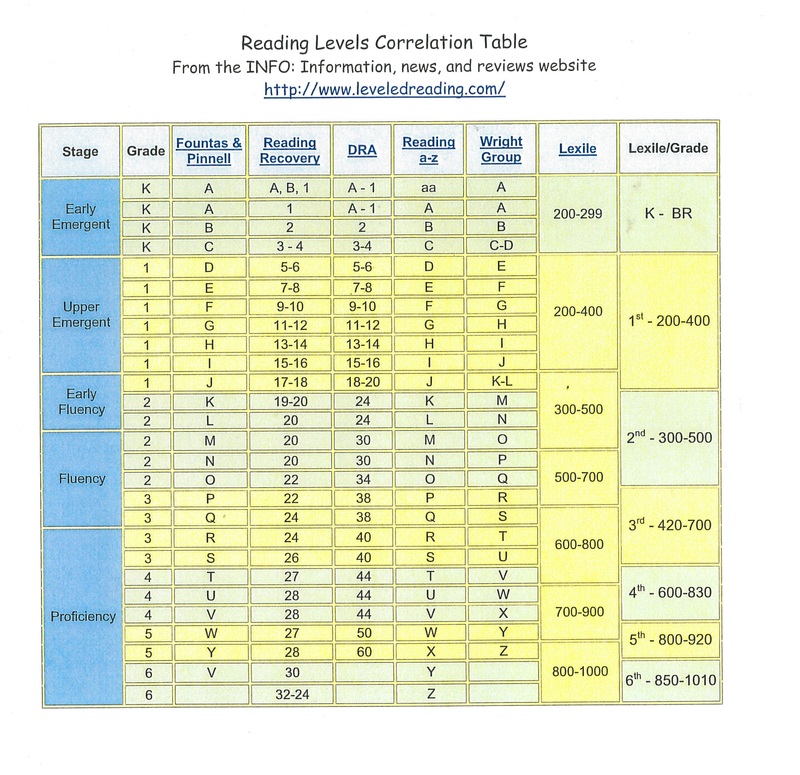 Looking for the Lexile Measure of a book? Try searching for it on Lexile.com. If the book has not been evaluated by Lexile, you can use Lexile’s free analysis tool to find an approximate Lexile measure. You will need to sign up for a free account first. Type out a passage from the book you want to analyze that contains at least 100 words and save it as a plain text file (choose the .txt. file type when you save the document in a word processing program, or use a plain text tool like Notepad). For best results, choose 2 or 3 passages from different points in the book and save them all in one file. 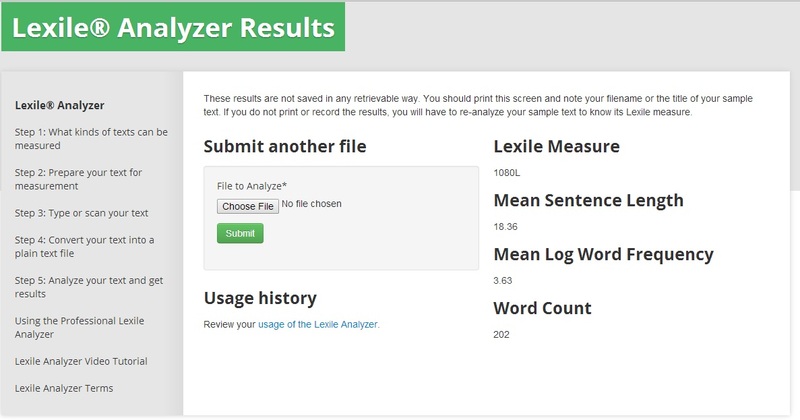 Upload your file to Lexile.com, and view results. Is your kiddo excited about their first day of “big kid school”? Nervous? Some of both? Try these books to get them ready to go! Dexter knows everything there is to know about kindergarten and is not at all scared about his first day there, but his stuffed dog, Rufus, is very nervous. A young preschooler accompanies her big brother to kindergarten and discovers a fun atmosphere, full of blocks and books, paints and puzzles. In the narrative tradition of “The Night Before Christmas,” shows children from all over town preparing for their first day of kindergarten, imagining what wonders they will see. Archie hates the idea of his first day in kindergarten and everything connected with it, but he ends up going and finds it tolerable. A brother and sister describe the things they love to do during their day at kindergarten. The USDA’s Summer Food Service Program (SFSP) fills the gap for millions of low-income children who receive free or reduced in-school meal programs during the school year. The program provides free, nutritious meals for kids at local organizations, like schools, recreation centers, playgrounds, parks, churches, summer camps and more, all over the country – all summer long. How can you find where are meals served? Secretary of Defense Caspar W. Weinberger in 1986 designated each April as “The Month of the Military Child”. Recognizing the contribution that the military child makes as their parent or parents serve our nation, it is during April of each year that all branches of services provide special days and events to honor the family and their children. Natalie, a young girl whose soldier father has deployed to Iraq, tells the reader what life is like for her and her mother in the year that her father is away. Parents in the armed forces assure their children at home, who are doing things that echo what their parents are doing, how much they love and miss their offspring, and how their duties are another way of showing their love. A young boy waits with both excitement and apprehension for his father to disembark from the aircraft carrier returning to port after many months at sea.